PPT arrow communication process powerpoint presentation 4 stages Templates-Use this diagram as a method of graphically representing the flow of data through an information processing system.-PPT arrow communication process powerpoint presentation 4 stages Templates-Arrow Process, Business, Circle, Circular, Collection, Connection, Cursor, Decoration, Design, Dimensional, Direction, Element, Icon, Illustration, Information, Modern, Motion, Paper, Perspective, Plastic, Pointer, Pointing, Recycle, Recycling, Reflective, Set, Shape, Shiny, Sign, Symbol, Technology Let us fulfil your presentation needs with our Ppt Arrow Communication Process PowerPoint Presentation 4 Stages Templates. You will be at the top of your game. 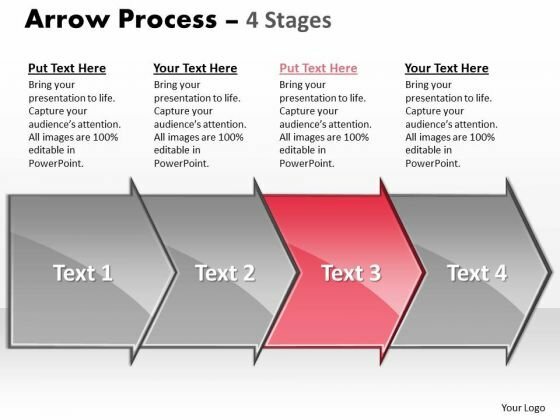 Present pioneering technologies with our Ppt Arrow Communication Process PowerPoint Presentation 4 Stages Templates. They will make you look good. PPT arrow 4 state powerpoint template diagram Templates-This diagram is suitable for business and technical professionals who need to quickly and easily visualize, explore, and communicate information. -PPT arrow 4 state powerpoint template diagram Templates-Arrow Process, Business, Circle, Circular, Collection, Connection, Cursor, Decoration, Design, Dimensional, Direction, Element, Icon, Illustration, Information, Modern, Motion, Paper, Perspective, Plastic, Pointer, 4 Pointing, Recycle, Recycling, Reflective, Set, Shape, Shiny, Sign, Symbol, Technology Extend your argument with our Ppt Arrow 4 State PowerPoint Template Diagram Templates. Acquire acceptance from all around. Your efforts will never fall short. Our Ppt Arrow 4 State PowerPoint Template Diagram Templates keep you above the bar. PPT arrow change management process powerpoint presentation 3 state diagram Templates-This Annular Illustration assist you in creating your project roadmap with different ways, interim goals and project steps.-PPT arrow change management process powerpoint presentation 3 state diagram Templates-Arrow Process, Business, Circle, Circular, Collection, Connection, Cursor, Decoration, Design, Dimensional, Direction, Element, Icon, Illustration, Information, Modern, Motion, Paper, Perspective, Plastic, Pointer, Pointing, Recycle, Recycling, Reflective, Set, Shape, Shiny, Sign, Symbol, Technology Improve the visual apprearance of your presentation with our Ppt Arrow Change Management Process PowerPoint Presentation 3 State Diagram Templates. Make sure your presentation gets the attention it deserves. Excite the senses with our Ppt Arrow Change Management Process PowerPoint Presentation 3 State Diagram Templates. Tickle the minds with your views. 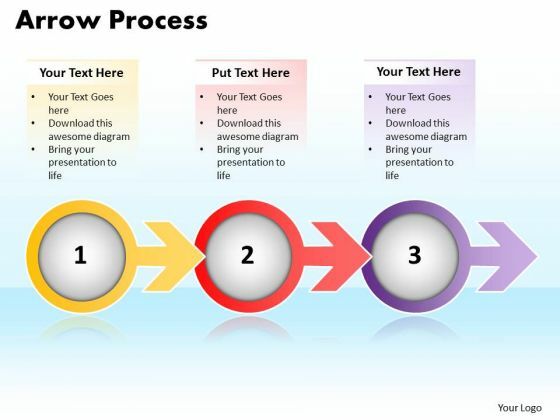 PPT arrow communication process powerpoint presentation 5 stage Templates-This PowerPoint diagram slide shows 5 steps in different colors. 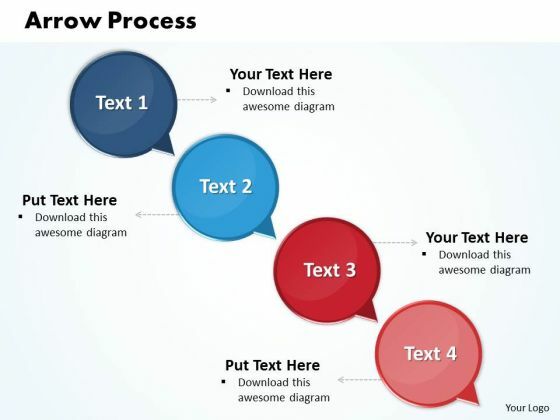 You can add text to this slide as per your need.-PPT arrow communication process powerpoint presentation 5 stage Templates-Arrow Process, Business, Circle, Circular, Collection, Connection, Cursor, Decoration, Design, Dimensional, Direction, Element, Icon, Illustration, Information, Modern, Motion, Paper, Perspective, Plastic, Pointer, Pointing, Recycle, Recycling, Reflective, Set, Shape, Shiny, Sign, Symbol, Technology Our Ppt Arrow Communication Process PowerPoint Presentation 5 Stage Templates are associated with ambition. They encourage you to dream big. Our Ppt Arrow Communication Process PowerPoint Presentation 5 Stage Templates are like field glasses. Get a clearer view of events in the distance. This is a area of focus ppt powerpoint presentation graphics. This is a five stage process. The stages in this process are area, focus, arrow process, marketing, management. Drum up a fervour with our Area Of Focus Ppt PowerPoint Presentation Graphics. You will come out on top. 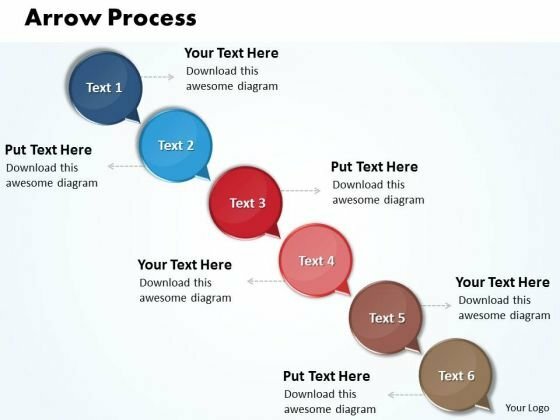 PPT arrow 5 phase diagram PowerPoint Templates-This circular arrow description diagram make your audience understand, essential elements of your overall strategy of business deal. -PPT arrow 5 phase diagram PowerPoint Templates-Arrow Process, Business, Circle, Circular, Collection, Connection, Cursor, Decoration, Design, Dimensional, Direction, Element, Icon, Illustration, Information, Modern, Motion, Paper, Perspective, Plastic, Pointer, 5 Pointing, Recycle, Recycling, Reflective, Set, Shape, Shiny, Sign, Symbol, Technology Be colorful and convincing with our Ppt Arrow 5 Phase Diagram PowerPoint Templates. Dont pass up this opportunity to shine. Enhance your charisma with our Ppt Arrow 5 Phase Diagram PowerPoint Templates. Allow your aura to flow around. 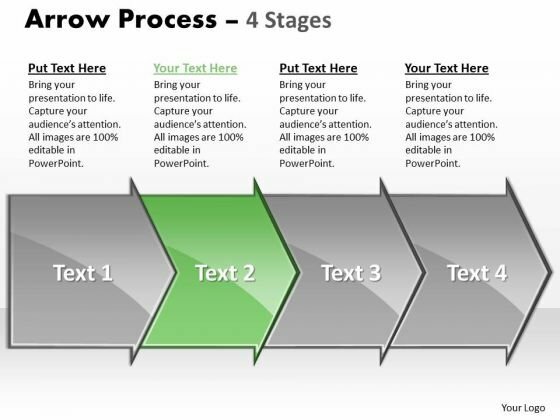 PPT arrow 6 power point stage PowerPoint Templates-Use this Diagram to improve information flow, optimize synergies, and streamline work. -PPT arrow 6 power point stage PowerPoint Templates-Arrow Process, Business, Circle, Circular, Collection, Connection, Cursor, Decoration, Design, Dimensional, Direction, Element, Icon, Illustration, Information, Modern, Motion, Paper, Perspective, Plastic, Pointer, 6 Pointing, Recycle, Recycling, Reflective, Set, Shape, Shiny, Sign, Symbol, Technology Fulfill aspirations with our Ppt Arrow 6 Power Point Stage PowerPoint Templates. Cater to all your clients fancy demands. Our Ppt Arrow 6 Power Point Stage PowerPoint Templates are never equivocal. They help you make a clear point. PPT arrow 7 power point stage PowerPoint Templates-Analyze the seven success factors of your business with this circular business chart for Microsoft PowerPoint presentations-PPT arrow 7 power point stage PowerPoint Templates-Arrow Process, Business, Circle, Circular, Collection, Connection, Cursor, Decoration, Design, Dimensional, Direction, Element, Icon, Illustration, Information, Modern, Motion, Paper, Perspective, Plastic, Pointer, 7 Pointing, Recycle, Recycling, Reflective, Set, Shape, Shiny, Sign, Symbol, Technology Fan audience aspirations with our Ppt Arrow 7 Power Point Stage PowerPoint Templates. Their confidence will flow from your thoughts. 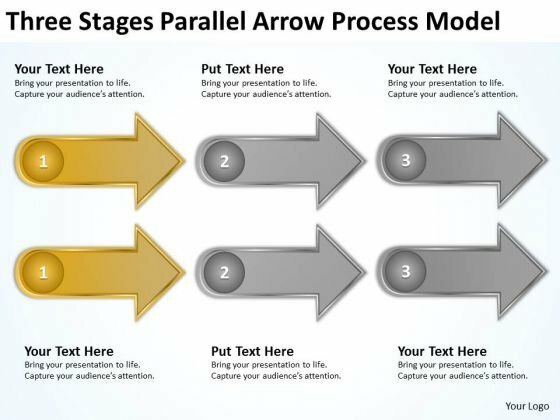 Bite the bullet with our Ppt Arrow 7 Power Point Stage PowerPoint Templates. Face the issues head-on. PPT arrow diamond mining process powerpoint presentation 4 stages style 2 Templates-This PowerPoint diagram shows four processes that lead to side of the arrow. You can easily edit the text and color. -PPT arrow diamond mining process powerpoint presentation 4 stages style 2 Templates-Arrow Process, Business, Circle, Circular, Collection, Connection, Cursor, Decoration, Design, Dimensional, Direction, Element, Icon, Illustration, Information, Modern, Motion, Paper, Perspective, Plastic, Pointer, Pointing, Recycle, Recycling, Reflective, Set, Shape, Shiny, Sign, Symbol, Technology Manage growth with our Ppt Arrow Diamond Mining Process PowerPoint Presentation 4 Stages Style 2 Templates. Download without worries with our money back guaranteee. Beat criticism with our Ppt Arrow Diamond Mining Process PowerPoint Presentation 4 Stages Style 2 Templates. You will come out on top. PPT arrow forging process powerpoint slides 3 phase diagram style 2 Templates-Use this hexagonal arrows diagram to show sequence or steps in a task, process, or workflow. -PPT arrow forging process powerpoint slides 3 phase diagram style 2 Templates-Arrow Process, Business, Circle, Circular, Collection, Connection, Cursor, Decoration, Design, Dimensional, Direction, Element, Icon, Illustration, Information, Modern, Motion, Paper, Perspective, Plastic, Pointer, Pointing, Recycle, Recycling, Reflective, Set, Shape, Shiny, Sign, Symbol, Technology Our Ppt Arrow Forging Process PowerPoint Slides 3 Phase Diagram Style 2 Templates team love fact finding missions. They enjoy bringing the truth to you. No end is too far for our Ppt Arrow Forging Process PowerPoint Slides 3 Phase Diagram Style 2 Templates. They ensure your thoughts always arrive. PPT arrow nursing process powerpoint presentation 2 stages style Templates-Use this Arrow Description diagram to present your contents in a clear and structured manner.-PPT arrow nursing process powerpoint presentation 2 stages style Templates-Arrow Process, Business, Circle, Circular, Collection, Connection, Cursor, Decoration, Design, Dimensional, Direction, Element, Icon, Illustration, Information, Modern, Motion, Paper, Perspective, Plastic, Pointer, Pointing, Recycle, Recycling, Reflective, Set, Shape, Shiny, Sign, Symbol, Technology Achieve best in class with our Ppt Arrow Nursing Process PowerPoint Presentation 2 Stages Style Templates. They will make you look good. They will be enticed by your ideas. Our Ppt Arrow Nursing Process PowerPoint Presentation 2 Stages Style Templates will make them the top attraction. PPT arrow process 7 phase diagram polished style powerpoint 2007 Templates-This diagram can help in showing an organized view of business services and processes.-PPT arrow process 7 phase diagram polished style powerpoint 2007 Templates-Arrow Process, Business, Circle, Circular, Collection, Connection, Cursor, Decoration, Design, Dimensional, Direction, Element, Icon, Illustration, Information, Modern, Motion, Paper, Perspective, Plastic, Pointer, Pointing, Recycle, Recycling, Reflective, Set, Shape, Shiny, Sign, Symbol, Technology Our Ppt Arrow Process 7 Phase Diagram Polished Style PowerPoint 2007 Templates offer easy availability and access. You will find them always around. 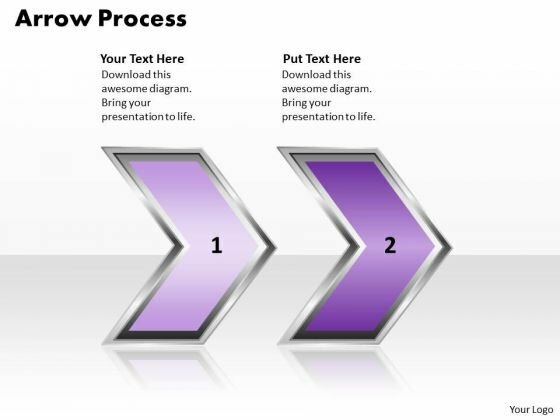 Augment your assets with our Ppt Arrow Process 7 Phase Diagram Polished Style PowerPoint 2007 Templates. They have many desirable attributes. PPT arrow procurement process powerpoint presentation 6 stage Templates-This template offers an excellent background to build up the various stages of your marketing process. Bullet-point your thoughts and ideas to profitably accomplish every step of every stage along the way.-PPT arrow procurement process powerpoint presentation 6 stage Templates-Arrow Process, Business, Circle, Circular, Collection, Connection, Cursor, Decoration, Design, Dimensional, Direction, Element, Icon, Illustration, Information, Modern, Motion, Paper, Perspective, Plastic, Pointer, Pointing, Recycle, Recycling, Reflective, Set, Shape, Shiny, Sign, Symbol, Technology Present your views with our Ppt Arrow Procurement Process PowerPoint Presentation 6 Stage Templates. You will come out on top. 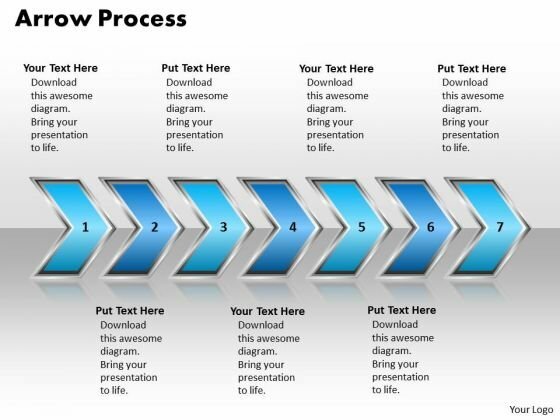 Our Ppt Arrow Procurement Process PowerPoint Presentation 6 Stage Templates will elevate the experience. Lift your thoughts to a higher plane. PPT arrow procurement process powerpoint presentation 6 stages style 2 Templates-This Diagram makes information accessible throughout the organization with a collective, visible view of critical data from different perspectives and providing the tools to upcoming business scenarios and plan for change. -PPT arrow procurement process powerpoint presentation 6 stages style 2 Templates-Arrow Process, Business, Circle, Circular, Collection, Connection, Cursor, Decoration, Design, Dimensional, Direction, Element, Icon, Illustration, Information, Modern, Motion, Paper, Perspective, Plastic, Pointer, Pointing, Recycle, Recycling, Reflective, Set, Shape, Shiny, Sign, Symbol, Technology Get endorsed by your boss with our Ppt Arrow Procurement Process PowerPoint Presentation 6 Stages Style 2 Templates. Dont pass up this opportunity to shine. Dispel any apprehensions that may arise. Our Ppt Arrow Procurement Process PowerPoint Presentation 6 Stages Style 2 Templates make your argiments appear convincing. PPT arrow writing process powerpoint presentation 5 state diagram style 2 Templates-This PowerPoint diagram slide can be used as timeline diagram using arrows. You can easily edit the text and color. -PPT arrow writing process powerpoint presentation 5 state diagram style 2 Templates-Arrow Process, Business, Circle, Circular, Collection, Connection, Cursor, Decoration, Design, Dimensional, Direction, Element, Icon, Illustration, Information, Modern, Motion, Paper, Perspective, Plastic, Pointer, Pointing, Recycle, Recycling, Reflective, Set, Shape, Shiny, Sign, Symbol, Technology Supervise your team with our Ppt Arrow Writing Process PowerPoint Presentation 5 State Diagram Style 2 Templates. Download without worries with our money back guaranteee. Suggest ideas with our Ppt Arrow Writing Process PowerPoint Presentation 5 State Diagram Style 2 Templates. Download without worries with our money back guaranteee. We present our editable PPT arrow process 7 power point stage business plan powerpoint 8 Image.Use our Arrows PowerPoint Templates because; they pinpoint the core values of your organization. Use our Signs PowerPoint Templates because, Team Efforts Business Template: - The concept and strategy is your strength. Use our Process and flows PowerPoint Templates because, you have the people in place, selected the team leaders and all are raring to go. Use our Business PowerPoint Templates because, you have made significant headway in this field. Use our Shapes PowerPoint Templates because, Show them how to persistently hit bullseye.Use these PowerPoint slides for presentations relating to Arrow process, business, circle, circular, collection, connection, cursor, decoration, design, dimensional, direction, element, icon, illustration, information, modern, motion, paper, perspective, plastic, pointer, pointing, recycle, recycling, reflective, set, shape, shiny, sign, symbol, technology. The prominent colors used in the PowerPoint template are Blue navy, Gray, Black So far, so good is not enough. Go further and better with our Editable Ppt Arrow Process 7 Power Point Stage Business Plan PowerPoint 8 Image. Augment your adeptness with our Editable Ppt Arrow Process 7 Power Point Stage Business Plan PowerPoint 8 Image. Give a boost to your decisive character. We present our editable PPT arrow process 8 power point stage business plan powerpoint 1 Image.Use our Arrows PowerPoint Templates because, Get your listeners to put on their thinking caps. Use our Signs PowerPoint Templates because, Take your team along by explaining your plans. 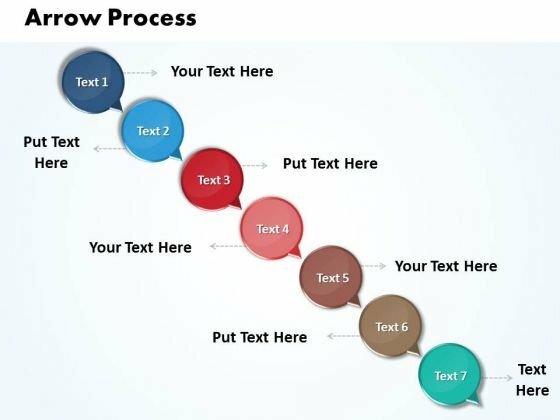 Use our Process and flows PowerPoint Templates because, Unravel each one for your audience while setting key timelines as you go along. Use our Business PowerPoint Templates because, Explore the minutest detail of each concept and follow the trail to its conclusion. Use our Shapes PowerPoint Templates because, You understand the illness and its causes.Use these PowerPoint slides for presentations relating to Arrow process, business, circle, circular, collection, connection, cursor, decoration, design, dimensional, direction, element, icon, illustration, information, modern, motion, paper, perspective, plastic, pointer, pointing, recycle, recycling, reflective, set, shape, shiny, sign, symbol, technology. The prominent colors used in the PowerPoint template are Orange, Green, Blue Feast your eyes on our Editable Ppt Arrow Process 8 Power Point Stage Business Plan PowerPoint 1 Image. Get drawn in by their colorful display. Fancy yourself as a success. Our Editable Ppt Arrow Process 8 Power Point Stage Business Plan PowerPoint 1 Image will actually make it so. 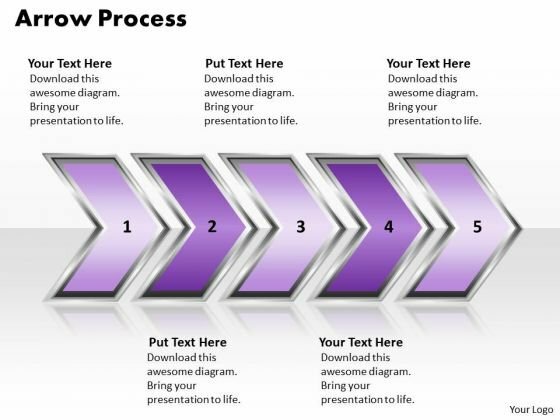 We present our editable PPT Background arrow communication process powerpoint presentation 6 stages 2 Graphic.Use our Arrows PowerPoint Templates because, Show how one can contribute to the overall feeling of wellbeing. Use our Signs PowerPoint Templates because, Colors generate instant reactions in our brains. Use our Process and flows PowerPoint Templates because, However you are aware of some pitfalls ahead where you need to be cautious not to over and avoid a stall. Use our Business PowerPoint Templates because, There are different paths to gain the necessary knowledge to achieve it. Use our Shapes PowerPoint Templates because, you have the people in place, selected the team leaders and all are raring to go. Use these PowerPoint slides for presentations relating to Arrow process, business, circle, circular, collection, connection, cursor, decoration, design, dimensional, direction, element, icon, illustration, information, modern, motion, paper, perspective, plastic, pointer, pointing, recycle, recycling, reflective, set, shape, shiny, sign, symbol, technology. The prominent colors used in the PowerPoint template are Yellow, Orange, and Gray Beat the budget with our Editable Ppt Background Arrow Communication Process PowerPoint Presentation 6 Stages 2 Graphic. Have enough to spare in the end. 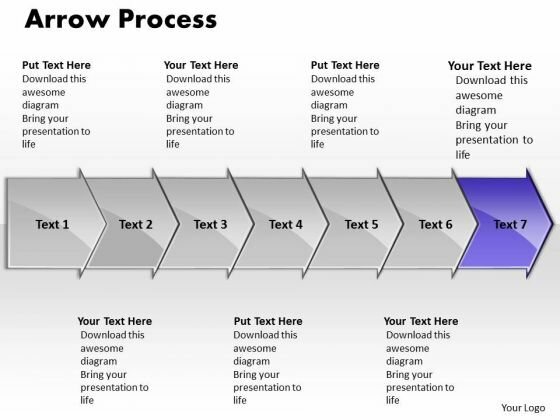 Cast our Editable Ppt Background Arrow Communication Process PowerPoint Presentation 6 Stages 2 Graphic in your act. The audience will call for an encore. 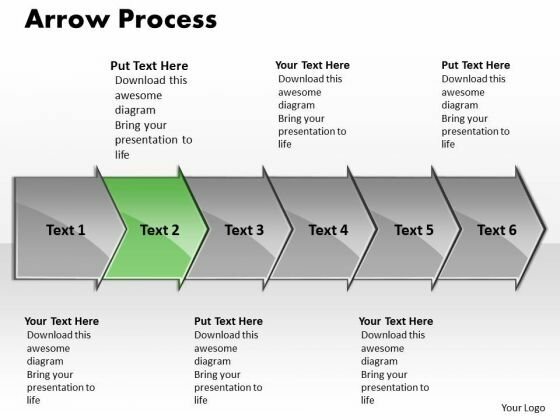 We present our editable PPT Background arrow communication process powerpoint presentation 6 stages 3 Graphic.Use our Arrows PowerPoint Templates because; Present your views on the methods using our self-explanatory templates. Use our Signs PowerPoint Templates because; Outline your targets to your team. Use our Process and flows PowerPoint Templates because, Present your views using our innovative slides and be assured of leaving a lasting impression. Use our Business PowerPoint Templates because, Marketing Strategy Business Template: - Maximizing sales of your product is the intended destination. Use our Shapes PowerPoint Templates because; Lead the way to spread good cheer to one and all. Use these PowerPoint slides for presentations relating to Arrow process, business, circle, circular, collection, connection, cursor, decoration, design, dimensional, direction, element, icon, illustration, information, modern, motion, paper, perspective, plastic, pointer, pointing, recycle, recycling, reflective, set, shape, shiny, sign, symbol, technology. The prominent colors used in the PowerPoint template are Green, Gray, and Black Give an exhaustive account with our Editable Ppt Background Arrow Communication Process PowerPoint Presentation 6 Stages 3 Graphic. Your thoughts will illuminate every little detail. Fight your battles with our Editable Ppt Background Arrow Communication Process PowerPoint Presentation 6 Stages 3 Graphic. You will come out on top. 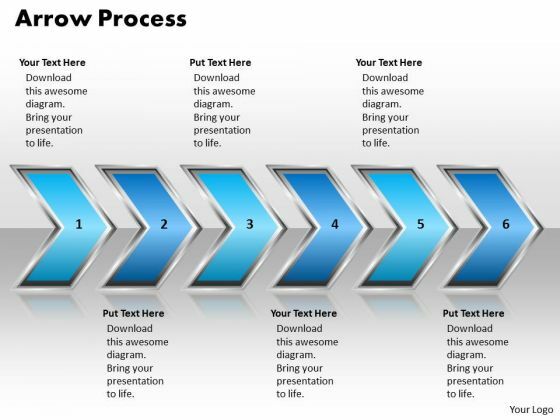 We present our editable PPT Background arrow process 8 phase diagram time management powerpoint 9 Graphic.Use our Arrows PowerPoint Templates because, are the triggers of our growth. Use our Signs PowerPoint Templates because, guaranteed to focus the minds of your team. Use our Process and flows PowerPoint Templates because, the alphabetical order is a time honored concept. Use our Business PowerPoint Templates because, You have it all down to a T. Use our Shapes PowerPoint Templates because, are the tools that helped most of us evolve. Use these PowerPoint slides for presentations relating to Arrow process, business, circle, circular, collection, connection, cursor, decoration, design, dimensional, direction, element, icon, illustration, information, modern, motion, paper, perspective, plastic, pointer, pointing, recycle, recycling, reflective, set, shape, shiny, sign, symbol, technology. The prominent colors used in the PowerPoint template are Blue navy, Gray, White Make it crystal clear with our Editable Ppt Background Arrow Process 8 Phase Diagram Time Management PowerPoint 9 Graphic. Confusion will never enter the door. Engineering changes is easier with our Editable Ppt Background Arrow Process 8 Phase Diagram Time Management PowerPoint 9 Graphic. They enhance the chances of acceptance. 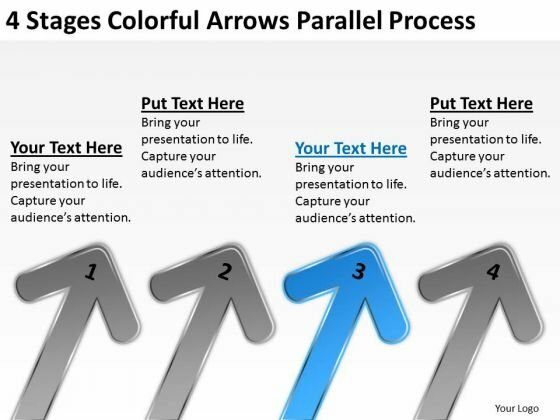 We present our editable PPT sequential Demonstration by 4 arrows business communication powerpoint 3 Image.Use our Arrows PowerPoint Templates because; They pinpoint the core values of your organization. Use our Signs PowerPoint Templates because, The plans are in your head, stage by stage, year by year. 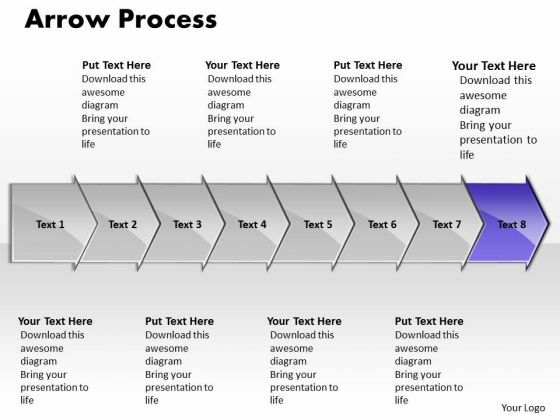 Use our Process and flows PowerPoint Templates because, Forward thinking is the way to go. Use our Business PowerPoint Templates because, Transmit your thoughts via our slides and prod your team to action. Use our Shapes PowerPoint Templates because; Evolve the strategy to take you down the required path with appropriate, efficient and effective marketing along the way. Use these PowerPoint slides for presentations relating to Arrow process, business, circle, circular, collection, connection, cursor, decoration, design, dimensional, direction, element, icon, illustration, information, modern, motion, paper, perspective, plastic, pointer, pointing, recycle, recycling, reflective, set, shape, shiny, sign, symbol, technology. The prominent colors used in the PowerPoint template are Green, Gray, Black Let the audience decide with our Editable Ppt Sequential Demonstration By 4 Arrows Business Communication PowerPoint 3 Image. Make sure your presentation gets the attention it deserves. Say bye bye to confusion with our Editable Ppt Sequential Demonstration By 4 Arrows Business Communication PowerPoint 3 Image. Your thoughts will drive decisiveness. We present our editable PPT sequential Demonstration by 4 arrows business communication powerpoint Image.Use our Arrows PowerPoint Templates because; The alphabetical order is a time honored concept. Use our Signs PowerPoint Templates because, Business ethics is an essential element in your growth. 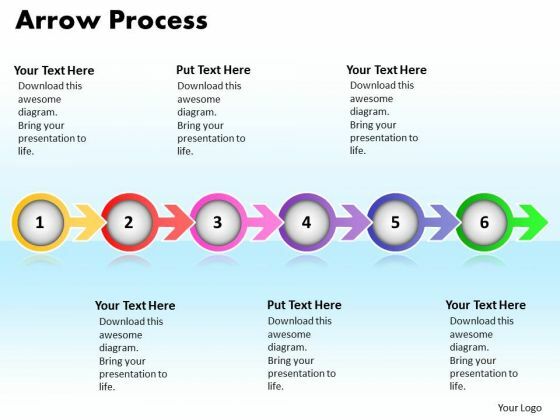 Use our Process and flows PowerPoint Templates because; Use our templates to illustrate your ability. Use our Business PowerPoint Templates because, guaranteed to focus the minds of your team. Use our Shapes PowerPoint Templates because; Anoint it with your really bright ideas. Use these PowerPoint slides for presentations relating to Arrow process, business, circle, circular, collection, connection, cursor, decoration, design, dimensional, direction, element, icon, illustration, information, modern, motion, paper, perspective, plastic, pointer, pointing, recycle, recycling, reflective, set, shape, shiny, sign, symbol, technology. The prominent colors used in the PowerPoint template are Pink, Gray, Black Our Editable Ppt Sequential Demonstration By 4 Arrows Business Communication PowerPoint Image ensure your credentials are established. Your abilities will be acknowledged by all. 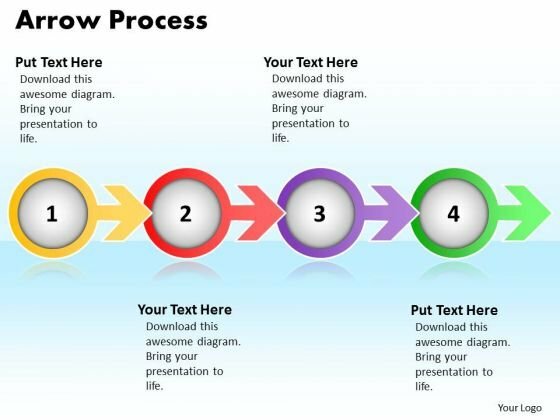 Go far with our Editable Ppt Sequential Demonstration By 4 Arrows Business Communication PowerPoint Image. They have the ability to carry you through. We present our editable PPT template Horizontal illustration through powerpoint graphics arrows 1 design.Use our Arrows PowerPoint Templates because; Give them an overview of your capability and insight into the minute details of the overall picture highlighting the interdependence at every operational level. Use our Signs PowerPoint Templates because; Highlight any anticipated problems, shortfalls or weak areas. Use our Process and flows PowerPoint Templates because, You have churned your mind and come up with effective ways and means to further refine it. Use our Business PowerPoint Templates because, Marketing Strategy Business Template:- maximizing sales of your product is the intended destination. Use our Shapes PowerPoint Templates because, Place them where they need to be. Use these PowerPoint slides for presentations relating to Arrow process, business, circle, circular, collection, connection, cursor, decoration, design, dimensional, direction, element, icon, illustration, information, modern, motion, paper, perspective, plastic, pointer, pointing, recycle, recycling, reflective, set, shape, shiny, sign, symbol, technology. The prominent colors used in the PowerPoint template are Blue, Green, White Venture into the unknown with our Editable Ppt Template Horizontal Illustration Through PowerPoint Graphics Arrows 1 Design. Your thoughts will move ahead sure-footedly. Complete your projects with our Editable Ppt Template Horizontal Illustration Through PowerPoint Graphics Arrows 1 Design. Download without worries with our money back guaranteee. 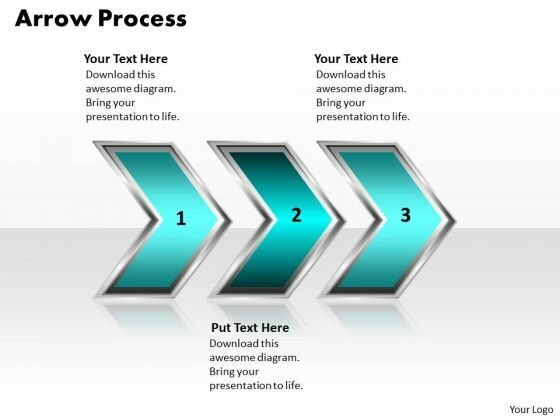 We present our editable PPT Theme arrow process 7 power point stage business communication powerpoint 3 Image.Use our Arrows PowerPoint Templates because; Demonstrate how you think out of the box. Use our Signs PowerPoint Templates because, They are indicators of the path you have in mind. Use our Process and flows PowerPoint Templates because, Our cleverly selected background hues are guaranteed to achieve this aim. Use our Business PowerPoint Templates because, You have a great training programmer in mind to upgrade the skills of your staff. Use our Shapes PowerPoint Templates because; Motivate your team to cross all barriers. Use these PowerPoint slides for presentations relating to Arrow process, business, circle, circular, collection, connection, cursor, decoration, design, dimensional, direction, element, icon, illustration, information, modern, motion, paper, perspective, plastic, pointer, pointing, recycle, recycling, reflective, set, shape, shiny, sign, symbol, technology. The prominent colors used in the PowerPoint template are Green, Gray, White Our Editable Ppt Theme Arrow Process 7 Power Point Stage Business Communication PowerPoint 3 Image adore facts and figures. Remove the fig leaves and expose it all. Fight down jealousies with our Editable Ppt Theme Arrow Process 7 Power Point Stage Business Communication PowerPoint 3 Image. Make everyone feel equal with your words. 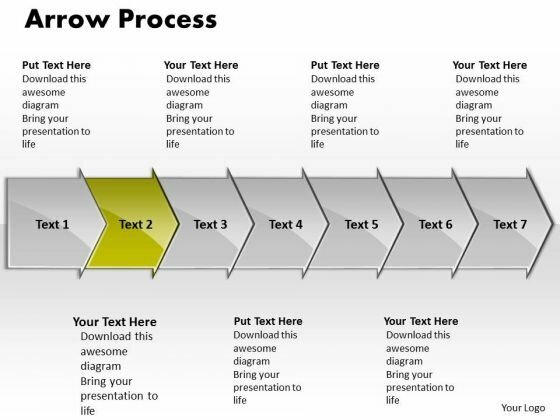 We present our arrow process model how to start business plan writing PowerPoint templates.Download and present our Arrows PowerPoint Templates because You have gained great respect for your brilliant ideas. Use our PowerPoint Templates and Slides to strengthen and enhance your reputation. Use our Flow Charts PowerPoint Templates because You can Score a slam dunk with our PowerPoint Templates and Slides. Watch your audience hang onto your every word. Use our Marketing PowerPoint Templates because Our PowerPoint Templates and Slides are the chords of your song. String them along and provide the lilt to your views. Download and present our Shapes PowerPoint Templates because It is Aesthetically crafted by artistic young minds. Our PowerPoint Templates and Slides are designed to display your dexterity. 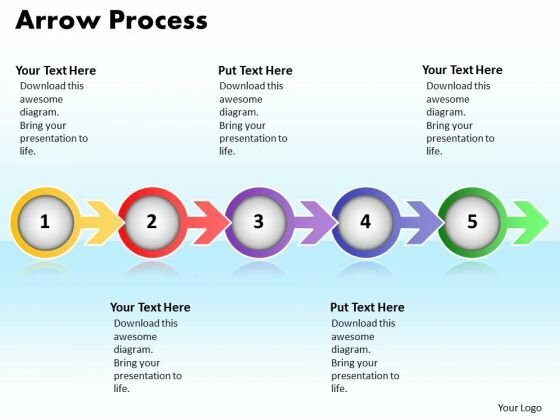 Present our Process and Flows PowerPoint Templates because you can Add colour to your speech with our PowerPoint Templates and Slides. Your presentation will leave your audience speechless.Use these PowerPoint slides for presentations relating to Arrows, business, arrow process, flow charts, process and flows, marketing, stepes, shapes, future, symbol, charts, design, direction, flow, illustration, increase, info graphic, color, colorful, concept, control, creative, curl, customer, design, direction, element, blue, icon, illustration, label. The prominent colors used in the PowerPoint template are Yellow, White, Gray. Customers tell us our arrow process model how to start business plan writing PowerPoint templates will make you look like a winner. 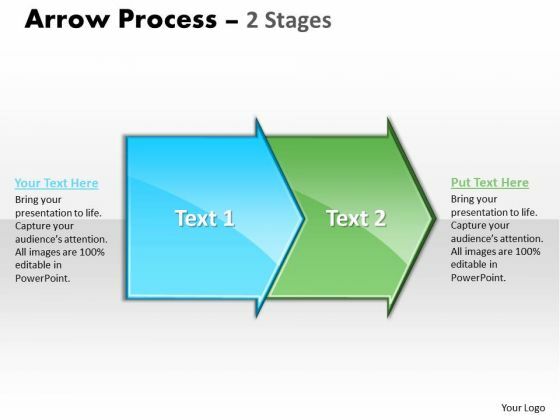 Presenters tell us our flow PowerPoint templates and PPT Slides are designed by professionals Use our arrow process model how to start business plan writing PowerPoint templates will generate and maintain the level of interest you desire. They will create the impression you want to imprint on your audience. You can be sure our process PowerPoint templates and PPT Slides will help them to explain complicated concepts. The feedback we get is that our arrow process model how to start business plan writing PowerPoint templates effectively help you save your valuable time. We assure you our flow PowerPoint templates and PPT Slides look good visually. Be liberal with graphics in your presentations. 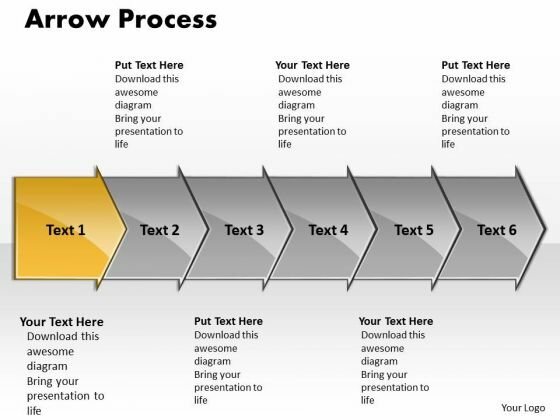 Achieve that with our Arrow Process Model How To Start Business Plan Writing PowerPoint Templates. Dont waste time struggling with PowerPoint. Let us do it for you. Go as far as you want with our Arrow Process Model How To Start Business Plan Writing PowerPoint Templates. They are designed to go the distance. We present our arrows parallel process business plan financial projections PowerPoint Slides.Download and present our Arrows PowerPoint Templates because Our PowerPoint Templates and Slides will Embellish your thoughts. They will help you illustrate the brilliance of your ideas. 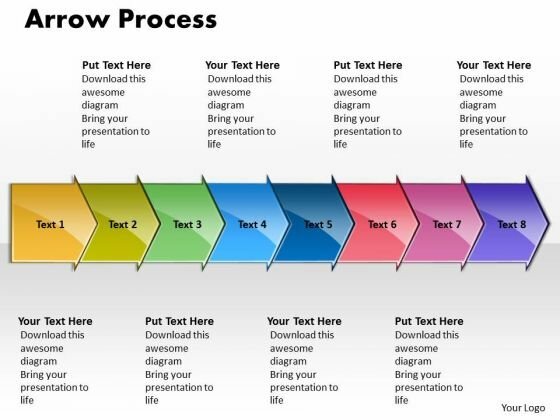 Use our Process and Flows PowerPoint Templates because You aspire to touch the sky with glory. Let our PowerPoint Templates and Slides provide the fuel for your ascent. Present our Flow Charts PowerPoint Templates because Our PowerPoint Templates and Slides are specially created by a professional team with vast experience. They diligently strive to come up with the right vehicle for your brilliant Ideas. Present our Shapes PowerPoint Templates because Our PowerPoint Templates and Slides will bullet point your ideas. See them fall into place one by one. Present our Marketing PowerPoint Templates because Our PowerPoint Templates and Slides will fulfill your every need. Use them and effectively satisfy the desires of your audience.Use these PowerPoint slides for presentations relating to Arrows, business, arrow process, flow charts, process and flows, marketing, stepes, shapes, future, symbol, charts, design, direction, flow, illustration, increase, info graphic, color, colorful, concept, control, creative, curl, customer, design, direction, element, blue, icon, illustration, label. The prominent colors used in the PowerPoint template are Blue, Gray, White. Customers tell us our arrows parallel process business plan financial projections PowerPoint Slides look good visually. Presenters tell us our and PowerPoint templates and PPT Slides are designed by a team of presentation professionals. Use our arrows parallel process business plan financial projections PowerPoint Slides will make the presenter successul in his career/life. You can be sure our process PowerPoint templates and PPT Slides will save the presenter time. The feedback we get is that our arrows parallel process business plan financial projections PowerPoint Slides are incredible easy to use. We assure you our process PowerPoint templates and PPT Slides are visually appealing. Bless your plans with our Arrows Parallel Process Business Plan Financial Projections PowerPoint Slides. You will come out on top. Become an orator with our Arrows Parallel Process Business Plan Financial Projections PowerPoint Slides. You will come out on top. 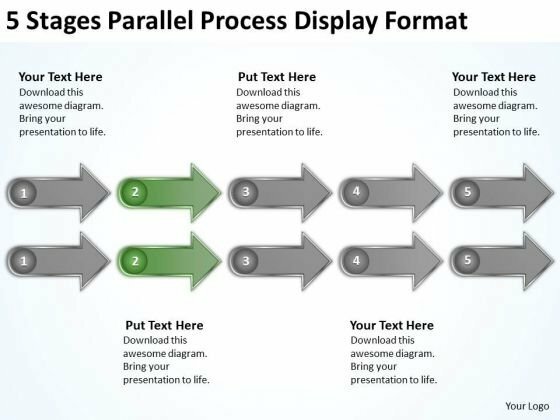 We present our 5 stages parallel process display format business plan formats PowerPoint Slides.Download our Arrows PowerPoint Templates because It will let you Set new benchmarks with our PowerPoint Templates and Slides. They will keep your prospects well above par. Use our Business PowerPoint Templates because They will Put the wind in your sails. Skim smoothly over the choppy waters of the market. Download and present our Flow Charts PowerPoint Templates because Our PowerPoint Templates and Slides will let you Illuminate the road ahead to Pinpoint the important landmarks along the way. Download our Marketing PowerPoint Templates because Watching this your Audience will Grab their eyeballs, they wont even blink. Download our Shapes PowerPoint Templates because You are an avid believer in ethical practices. Highlight the benefits that accrue with our PowerPoint Templates and Slides.Use these PowerPoint slides for presentations relating to Arrow, business, chart, checkmark, chevron, diagram, drop, financial, glass, graphic, gray, icon, illustration, isometric, perspective, placeholder, point, process, reflection, set, shadow, silver, process and flows, flow charts, process charts, shapes, colorful arrows, blue, white, gray, arrow process. The prominent colors used in the PowerPoint template are Blue, Gray, Black. You can be sure our 5 stages parallel process display format business plan formats PowerPoint Slides are visually appealing. You can be sure our chevron PowerPoint templates and PPT Slides have awesome images to get your point across. Professionals tell us our 5 stages parallel process display format business plan formats PowerPoint Slides are visually appealing. Presenters tell us our chart PowerPoint templates and PPT Slides are topically designed to provide an attractive backdrop to any subject. The feedback we get is that our 5 stages parallel process display format business plan formats PowerPoint Slides provide great value for your money. Be assured of finding the best projection to highlight your words. You can be sure our checkmark PowerPoint templates and PPT Slides are specially created by a professional team with vast experience. They diligently strive to come up with the right vehicle for your brilliant Ideas. Be accredited by the connoisseurs. Our 5 Stages Parallel Process Display Format Business Plan Formats PowerPoint Slides certify their approval. Present like a genius. Our 5 Stages Parallel Process Display Format Business Plan Formats PowerPoint Slides help you play the part. We present our 5 stages parallel process display format laundromat business plan PowerPoint templates.Download and present our Business PowerPoint Templates because Our PowerPoint Templates and Slides are endowed to endure. Ideas conveyed through them will pass the test of time. Download and present our Shapes PowerPoint Templates because Our PowerPoint Templates and Slides will let you Leave a lasting impression to your audiences. They possess an inherent longstanding recall factor. Download our Process and Flows PowerPoint Templates because Our PowerPoint Templates and Slides are designed to help you succeed. They have all the ingredients you need. Download and present our Flow Charts PowerPoint Templates because It will Give impetus to the hopes of your colleagues. Our PowerPoint Templates and Slides will aid you in winning their trust. Present our Marketing PowerPoint Templates because Timeline crunches are a fact of life. Meet all deadlines using our PowerPoint Templates and Slides.Use these PowerPoint slides for presentations relating to Arrow, business, chart, checkmark, chevron, diagram, drop, financial, glass, graphic, gray, icon, illustration, isometric, perspective, placeholder, point, process, reflection, set, shadow, silver, process and flows, flow charts, process charts, shapes, colorful arrows, green lime, white, gray, arrow process. The prominent colors used in the PowerPoint template are Green lime , White, Gray. You can be sure our 5 stages parallel process display format laundromat business plan PowerPoint templates are designed to make your presentations professional. You can be sure our chevron PowerPoint templates and PPT Slides are the best it can get when it comes to presenting. Professionals tell us our 5 stages parallel process display format laundromat business plan PowerPoint templates effectively help you save your valuable time. Presenters tell us our drop PowerPoint templates and PPT Slides provide great value for your money. Be assured of finding the best projection to highlight your words. The feedback we get is that our 5 stages parallel process display format laundromat business plan PowerPoint templates will make the presenter successul in his career/life. You can be sure our financial PowerPoint templates and PPT Slides will make you look like a winner. Encourage the enthusiasm in your team. Spur them on with our 5 Stages Parallel Process Display Format Laundromat Business Plan PowerPoint Templates. Gain access to many a fabled tip. We have a lot on our 5 Stages Parallel Process Display Format Laundromat Business Plan PowerPoint Templates. We present our 5 stages parallel process display format ppt business plan companies PowerPoint Slides.Use our Business PowerPoint Templates because You can Raise a toast with our PowerPoint Templates and Slides. Spread good cheer amongst your audience. Download and present our Shapes PowerPoint Templates because You can Be the puppeteer with our PowerPoint Templates and Slides as your strings. Lead your team through the steps of your script. 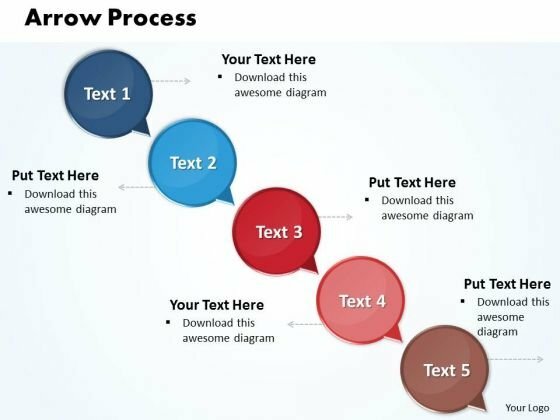 Download and present our Process and Flows PowerPoint Templates because Our PowerPoint Templates and Slides will provide weight to your words. They will bring out the depth of your thought process. Download our Flow Charts PowerPoint Templates because you can Break through with our PowerPoint Templates and Slides. Bring down the mental barriers of your audience. Use our Marketing PowerPoint Templates because you can Add colour to your speech with our PowerPoint Templates and Slides. Your presentation will leave your audience speechless.Use these PowerPoint slides for presentations relating to Arrow, business, chart, checkmark, chevron, diagram, drop, financial, glass, graphic, gray, icon, illustration, isometric, perspective, placeholder, point, process, reflection, set, shadow, silver, process and flows, flow charts, process charts, shapes, colorful arrows, white, gray, arrow process. The prominent colors used in the PowerPoint template are Purple, Gray, White. You can be sure our 5 stages parallel process display format ppt business plan companies PowerPoint Slides are topically designed to provide an attractive backdrop to any subject. You can be sure our chart PowerPoint templates and PPT Slides help you meet deadlines which are an element of today's workplace. Just browse and pick the slides that appeal to your intuitive senses. Professionals tell us our 5 stages parallel process display format ppt business plan companies PowerPoint Slides are visually appealing. Presenters tell us our drop PowerPoint templates and PPT Slides are visually appealing. The feedback we get is that our 5 stages parallel process display format ppt business plan companies PowerPoint Slides will make the presenter successul in his career/life. You can be sure our drop PowerPoint templates and PPT Slides are designed by professionals Our 5 Stages Parallel Process Display Format Ppt Business Plan Companies PowerPoint Slides are fairly far sighted. They help you see clearly into the distance. Our 5 Stages Parallel Process Display Format Ppt Business Plan Companies PowerPoint Slides will carry any burden. Be assured that they will take you far. We present our 5 stages parallel process display format sample of small business plan PowerPoint templates.Use our Business PowerPoint Templates because Our PowerPoint Templates and Slides will embellish your thoughts. See them provide the desired motivation to your team. Present our Shapes PowerPoint Templates because our PowerPoint Templates and Slides are the string of your bow. Fire of your ideas and conquer the podium. Use our Process and Flows PowerPoint Templates because Our PowerPoint Templates and Slides will let Your superior ideas hit the target always and everytime. Download our Flow Charts PowerPoint Templates because Our PowerPoint Templates and Slides will Activate the energies of your audience. Get their creative juices flowing with your words. Download our Marketing PowerPoint Templates because Our PowerPoint Templates and Slides will let your team Walk through your plans. See their energy levels rise as you show them the way.Use these PowerPoint slides for presentations relating to Arrow, business, chart, checkmark, chevron, diagram, drop, financial, glass, graphic, gray, icon, illustration, isometric, perspective, placeholder, point, process, reflection, set, shadow, silver, process and flows, flow charts, process charts, shapes, colorful arrows, white, gray, arrow process. The prominent colors used in the PowerPoint template are Blue light, Gray, White. You can be sure our 5 stages parallel process display format sample of small business plan PowerPoint templates will make you look like a winner. You can be sure our drop PowerPoint templates and PPT Slides will make the presenter look like a pro even if they are not computer savvy. Professionals tell us our 5 stages parallel process display format sample of small business plan PowerPoint templates will save the presenter time. Presenters tell us our chevron PowerPoint templates and PPT Slides provide you with a vast range of viable options. Select the appropriate ones and just fill in your text. The feedback we get is that our 5 stages parallel process display format sample of small business plan PowerPoint templates provide great value for your money. Be assured of finding the best projection to highlight your words. You can be sure our glass PowerPoint templates and PPT Slides will make you look like a winner. Everything is feasible with our 5 Stages Parallel Process Display Format Sample Of Small Business Plan PowerPoint Templates. They contain abundant dexterity. Ideas will flower and bloom with our 5 Stages Parallel Process Display Format Sample Of Small Business Plan PowerPoint Templates. Your company will begin to flourish. We present our 5 stages parallel steps of an activity business plan PowerPoint templates.Use our Arrows PowerPoint Templates because Our PowerPoint Templates and Slides are a sure bet. Gauranteed to win against all odds. Use our Business PowerPoint Templates because Our PowerPoint Templates and Slides ensures Effective communication. They help you put across your views with precision and clarity. Present our Marketing PowerPoint Templates because You aspire to touch the sky with glory. Let our PowerPoint Templates and Slides provide the fuel for your ascent. Download our Shapes PowerPoint Templates because Our PowerPoint Templates and Slides offer you the widest possible range of options. Download and present our Flow Charts PowerPoint Templates because Our PowerPoint Templates and Slides are effectively colour coded to prioritise your plans They automatically highlight the sequence of events you desire.Use these PowerPoint slides for presentations relating to Arrow, business, chart,steps, diagram, drop, financial, graphic, gray, icon, illustration, isometric, perspective, steps flows, point, process, reflection, set, shadow, silver, process and flows, flow charts, process charts, shapes, colorful arrows, white, gray, arrow process. The prominent colors used in the PowerPoint template are Blue navy, Gray, White. You can be sure our 5 stages parallel steps of an activity business plan PowerPoint templates are visually appealing. You can be sure our chart PowerPoint templates and PPT Slides are visually appealing. Professionals tell us our 5 stages parallel steps of an activity business plan PowerPoint templates are effectively colour coded to prioritise your plans They automatically highlight the sequence of events you desire. Presenters tell us our chart PowerPoint templates and PPT Slides will generate and maintain the level of interest you desire. They will create the impression you want to imprint on your audience. The feedback we get is that our 5 stages parallel steps of an activity business plan PowerPoint templates are designed by a team of presentation professionals. You can be sure our graphic PowerPoint templates and PPT Slides are designed by a team of presentation professionals. Any audience can be critical. Draw out their appreciation with our 5 Stages Parallel Steps Of An Activity Business Plan PowerPoint Templates. Become a contributor with our 5 Stages Parallel Steps Of An Activity Business Plan PowerPoint Templates. You will come out on top. We present our 5 stages parallel steps of an activity business plan template download PowerPoint templates.Present our Arrows PowerPoint Templates because Our PowerPoint Templates and Slides will let your ideas bloom. Create a bed of roses for your audience. Present our Business PowerPoint Templates because Our PowerPoint Templates and Slides will definately Enhance the stature of your presentation. Adorn the beauty of your thoughts with their colourful backgrounds. Use our Marketing PowerPoint Templates because Our PowerPoint Templates and Slides will provide the perfect balance. Your weighty ideas will get the ideal impetus. Present our Shapes PowerPoint Templates because Our PowerPoint Templates and Slides are effectively colour coded to prioritise your plans They automatically highlight the sequence of events you desire. Download and present our Flow Charts PowerPoint Templates because Our PowerPoint Templates and Slides will let you Hit the target. Go the full distance with ease and elan.Use these PowerPoint slides for presentations relating to Arrow, business, chart,steps, diagram, drop, financial, graphic, gray, icon, illustration, isometric, perspective, steps flows, point, process, reflection, set, shadow, silver, process and flows, flow charts, process charts, shapes, colorful arrows, white, gray, arrow process. The prominent colors used in the PowerPoint template are Blue navy, Gray, White. You can be sure our 5 stages parallel steps of an activity business plan template download PowerPoint templates are aesthetically designed to attract attention. We guarantee that they will grab all the eyeballs you need. You can be sure our chart PowerPoint templates and PPT Slides are visually appealing. Professionals tell us our 5 stages parallel steps of an activity business plan template download PowerPoint templates are aesthetically designed to attract attention. We guarantee that they will grab all the eyeballs you need. Presenters tell us our financial PowerPoint templates and PPT Slides will impress their bosses and teams. The feedback we get is that our 5 stages parallel steps of an activity business plan template download PowerPoint templates will help them to explain complicated concepts. You can be sure our steps PowerPoint templates and PPT Slides have awesome images to get your point across. Encapsulate your thoughts in our 5 Stages Parallel Steps Of An Activity Business Plan Template Download PowerPoint Templates. They will become a class apart. Finally find answers with our 5 Stages Parallel Steps Of An Activity Business Plan Template Download PowerPoint Templates. Your efforts will culminate in success. We present our 5 stages parallel steps of an activity business plans for sale PowerPoint templates.Use our Arrows PowerPoint Templates because Our PowerPoint Templates and Slides are topically designed to provide an attractive backdrop to any subject. Download and present our Business PowerPoint Templates because Our PowerPoint Templates and Slides will let you Leave a lasting impression to your audiences. They possess an inherent longstanding recall factor. Download our Marketing PowerPoint Templates because It will let you Set new benchmarks with our PowerPoint Templates and Slides. They will keep your prospects well above par. Download our Shapes PowerPoint Templates because Our PowerPoint Templates and Slides will let your team Walk through your plans. See their energy levels rise as you show them the way. Present our Flow Charts PowerPoint Templates because Our PowerPoint Templates and Slides will help you be quick off the draw. Just enter your specific text and see your points hit home.Use these PowerPoint slides for presentations relating to Arrow, business, chart,steps, diagram, drop, financial, graphic, gray, icon, illustration, isometric, perspective, steps flows, point, process, reflection, set, shadow, silver, process and flows, flow charts, process charts, shapes, colorful arrows, white, gray, arrow process. The prominent colors used in the PowerPoint template are Blue light, Gray, White. You can be sure our 5 stages parallel steps of an activity business plans for sale PowerPoint templates effectively help you save your valuable time. You can be sure our financial PowerPoint templates and PPT Slides are visually appealing. Professionals tell us our 5 stages parallel steps of an activity business plans for sale PowerPoint templates provide great value for your money. Be assured of finding the best projection to highlight your words. Presenters tell us our chart PowerPoint templates and PPT Slides will make the presenter look like a pro even if they are not computer savvy. The feedback we get is that our 5 stages parallel steps of an activity business plans for sale PowerPoint templates will make you look like a winner. You can be sure our financial PowerPoint templates and PPT Slides are designed to make your presentations professional. Give your thoughts an artistic backing. Add on the craftsmanship of our 5 Stages Parallel Steps Of An Activity Business Plans For Sale PowerPoint Templates. 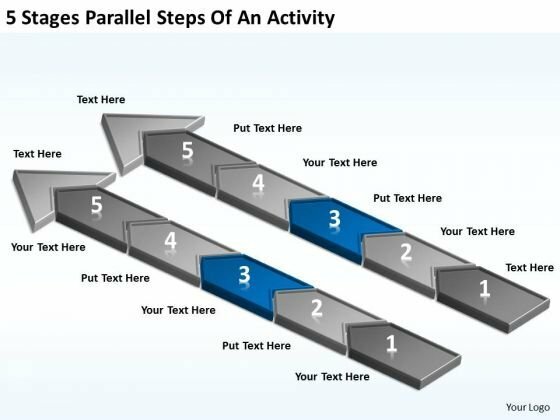 Imagine your audience applauding with our 5 Stages Parallel Steps Of An Activity Business Plans For Sale PowerPoint Templates. Make sure your presentation gets the attention it deserves. 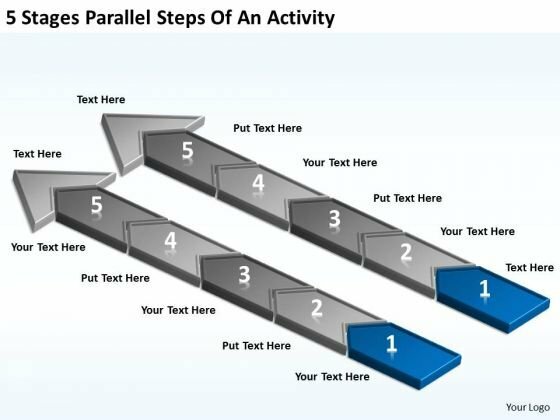 We present our 5 stages parallel steps of an activity personal business plan PowerPoint Slides.Download and present our Arrows PowerPoint Templates because Our PowerPoint Templates and Slides will let you Clearly mark the path for others to follow. Present our Business PowerPoint Templates because Our PowerPoint Templates and Slides are created by a hardworking bunch of busybees. Always flitting around with solutions gauranteed to please. Download and present our Marketing PowerPoint Templates because Our PowerPoint Templates and Slides are conceived by a dedicated team. Use them and give form to your wondrous ideas. Use our Shapes PowerPoint Templates because Our PowerPoint Templates and Slides will let your words and thoughts hit bullseye everytime. Use our Flow Charts PowerPoint Templates because Our PowerPoint Templates and Slides will let your team Walk through your plans. See their energy levels rise as you show them the way.Use these PowerPoint slides for presentations relating to Arrow, business, chart,steps, diagram, drop, financial, graphic, gray, icon, illustration, isometric, perspective, steps flows, point, process, reflection, set, shadow, silver, process and flows, flow charts, process charts, shapes, colorful arrows, white, gray, arrow process. The prominent colors used in the PowerPoint template are Blue light, Gray, White. You can be sure our 5 stages parallel steps of an activity personal business plan PowerPoint Slides are designed to make your presentations professional. You can be sure our gray PowerPoint templates and PPT Slides are visually appealing. Professionals tell us our 5 stages parallel steps of an activity personal business plan PowerPoint Slides provide you with a vast range of viable options. Select the appropriate ones and just fill in your text. Presenters tell us our chart PowerPoint templates and PPT Slides will get their audience's attention. The feedback we get is that our 5 stages parallel steps of an activity personal business plan PowerPoint Slides are designed by a team of presentation professionals. You can be sure our gray PowerPoint templates and PPT Slides will make you look like a winner. Our 5 Stages Parallel Steps Of An Activity Personal Business Plan PowerPoint Slides don't have a fickle attitude. They adhere to their commitment and beliefs. Separate noise from music with our 5 Stages Parallel Steps Of An Activity Personal Business Plan PowerPoint Slides. Download without worries with our money back guaranteee. We present our 5 stages parallel steps of an activity tutoring business plan PowerPoint templates.Use our Arrows PowerPoint Templates because Timeline crunches are a fact of life. Meet all deadlines using our PowerPoint Templates and Slides. Download and present our Business PowerPoint Templates because You have a driving passion to excel in your field. Our PowerPoint Templates and Slides will prove ideal vehicles for your ideas. Download and present our Marketing PowerPoint Templates because Our PowerPoint Templates and Slides are conceived by a dedicated team. Use them and give form to your wondrous ideas. Download and present our Shapes PowerPoint Templates because They will bring a lot to the table. Their alluring flavours will make your audience salivate. Present our Flow Charts PowerPoint Templates because These PowerPoint Templates and Slides will give the updraft to your ideas. See them soar to great heights with ease.Use these PowerPoint slides for presentations relating to Arrow, business, chart,steps, diagram, drop, financial, graphic, gray, icon, illustration, isometric, perspective, steps flows, point, process, reflection, set, shadow, silver, process and flows, flow charts, process charts, shapes, colorful arrows, white, gray, arrow process. The prominent colors used in the PowerPoint template are Blue light, Gray, White. You can be sure our 5 stages parallel steps of an activity tutoring business plan PowerPoint templates are the best it can get when it comes to presenting. You can be sure our financial PowerPoint templates and PPT Slides are designed by professionals Professionals tell us our 5 stages parallel steps of an activity tutoring business plan PowerPoint templates will make the presenter successul in his career/life. Presenters tell us our steps PowerPoint templates and PPT Slides are incredible easy to use. 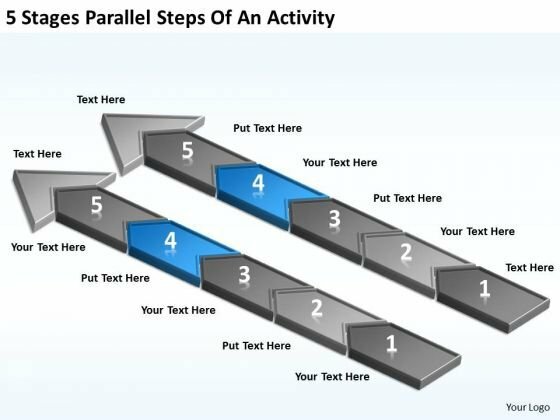 The feedback we get is that our 5 stages parallel steps of an activity tutoring business plan PowerPoint templates have awesome images to get your point across. You can be sure our financial PowerPoint templates and PPT Slides will get their audience's attention. Be prepared for every eventuality. Plan your defences with our 5 Stages Parallel Steps Of An Activity Tutoring Business Plan PowerPoint Templates. Answer strategic questions with our 5 Stages Parallel Steps Of An Activity Tutoring Business Plan PowerPoint Templates. You will come out on top. We present our 5 stages parallel steps of an activity ppt business plan creation PowerPoint Slides.Present our Arrows PowerPoint Templates because Our PowerPoint Templates and Slides will embellish your thoughts. See them provide the desired motivation to your team. Download our Business PowerPoint Templates because Our PowerPoint Templates and Slides will let you Hit the right notes. Watch your audience start singing to your tune. Present our Marketing PowerPoint Templates because Our PowerPoint Templates and Slides are effectively colour coded to prioritise your plans They automatically highlight the sequence of events you desire. Use our Shapes PowerPoint Templates because Your ideas provide food for thought. Our PowerPoint Templates and Slides will help you create a dish to tickle the most discerning palate. Use our Flow Charts PowerPoint Templates because Our PowerPoint Templates and Slides are conceived by a dedicated team. Use them and give form to your wondrous ideas.Use these PowerPoint slides for presentations relating to Arrow, business, chart,steps, diagram, drop, financial, graphic, gray, icon, illustration, isometric, perspective, steps flows, point, process, reflection, set, shadow, silver, process and flows, flow charts, process charts, shapes, colorful arrows, white, gray, arrow process. The prominent colors used in the PowerPoint template are Blue navy, Gray, White. You can be sure our 5 stages parallel steps of an activity ppt business plan creation PowerPoint Slides are the best it can get when it comes to presenting. You can be sure our diagram PowerPoint templates and PPT Slides are topically designed to provide an attractive backdrop to any subject. Professionals tell us our 5 stages parallel steps of an activity ppt business plan creation PowerPoint Slides are the best it can get when it comes to presenting. Presenters tell us our graphic PowerPoint templates and PPT Slides will make the presenter look like a pro even if they are not computer savvy. The feedback we get is that our 5 stages parallel steps of an activity ppt business plan creation PowerPoint Slides are readymade to fit into any presentation structure. You can be sure our graphic PowerPoint templates and PPT Slides are readymade to fit into any presentation structure. Our 5 Stages Parallel Steps Of An Activity Ppt Business Plan Creation PowerPoint Slides will crown your ideas. They will get an exalted status. Our 5 Stages Parallel Steps Of An Activity Ppt Business Plan Creation PowerPoint Slides will ensure you get your point across. You will be glad you tried us out. 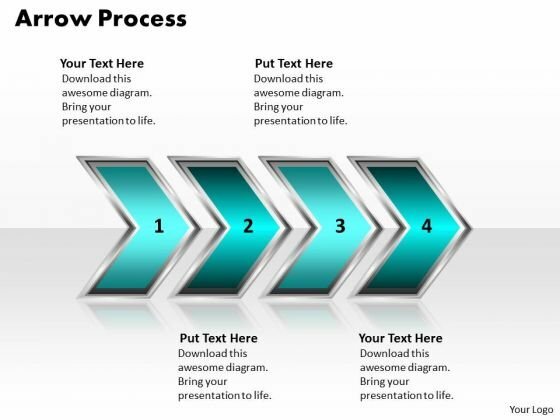 We present our 5 steps arrow communication diagram cell phone business plans PowerPoint Slides.Download and present our Process and Flows PowerPoint Templates because Watching this your Audience will Grab their eyeballs, they wont even blink. Use our Flow charts PowerPoint Templates because You can Inspire your team with our PowerPoint Templates and Slides. Let the force of your ideas flow into their minds. Present our Arrows PowerPoint Templates because Our PowerPoint Templates and Slides are the chords of your song. String them along and provide the lilt to your views. Use our Marketing PowerPoint Templates because Your audience will believe you are the cats whiskers. Download and present our Shapes PowerPoint Templates because Our PowerPoint Templates and Slides will definately Enhance the stature of your presentation. Adorn the beauty of your thoughts with their colourful backgrounds.Use these PowerPoint slides for presentations relating to Arrow, business, chart,steps, diagram, drop, isometric, perspective, steps flows, point, process, reflection, set, shadow, silver, process and flows, flow charts, process charts, shapes, colorful arrows, white, gray, arrow process. The prominent colors used in the PowerPoint template are Red, Gray, White. You can be sure our 5 steps arrow communication diagram cell phone business plans PowerPoint Slides are the best it can get when it comes to presenting. 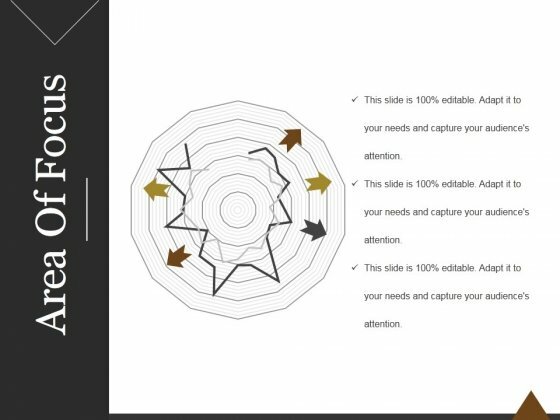 You can be sure our isometric PowerPoint templates and PPT Slides will make the presenter look like a pro even if they are not computer savvy. 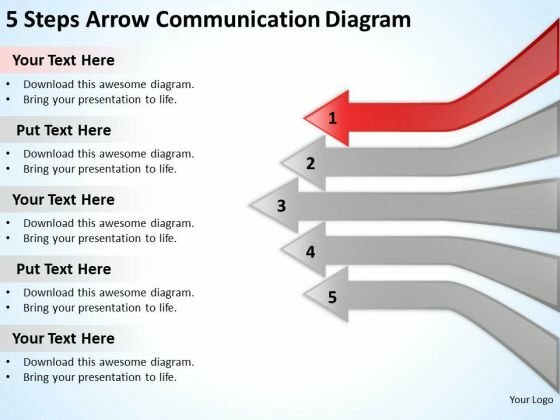 Professionals tell us our 5 steps arrow communication diagram cell phone business plans PowerPoint Slides have awesome images to get your point across. Presenters tell us our steps PowerPoint templates and PPT Slides look good visually. The feedback we get is that our 5 steps arrow communication diagram cell phone business plans PowerPoint Slides are incredible easy to use. You can be sure our perspective PowerPoint templates and PPT Slides are designed to make your presentations professional. Continue growing with our 5 Steps Arrow Communication Diagram Cell Phone Business Plans PowerPoint Slides. Download without worries with our money back guaranteee. Bravely continue with your endeavour. Our 5 Steps Arrow Communication Diagram Cell Phone Business Plans PowerPoint Slides will keep the fight in you going.